Although, home ownership has many benefits and is one of the leading ways to build wealth and create strong neighborhoods, rental housing provides a crucial option for many that are not able to qualify for a mortgage or choose to rent for another reason. First, what exactly is a security deposit? Most leases require a security deposit and it is typically equal to a month’s rent and is to cover damages that are outside of normal wear and tear and to help with costs associated with tenants breaking their lease without paying. Carefully read your lease - Reading your lease up front as well as before you move out can help you know exactly what is expected of you, however even if something is in your lease doesn't necessarily mean it is legal. Check-in or room report - The best way to protect yourself is to create report listing all damage to the unit immediately when you move in. Keep a copy of this form and give one to the landlord and compare it to your check-out sheet. This one tip could save you thousands of dollars in the future. Find templates of these forms online, your landlord may even provide one. Take pictures or videos - As part of your check-in report take detailed pictures or videos when you first move in, clearly showing all prior damage. As well as after you complete cleaning and repairs for your check-out report. Send these pictures to your landlord and keep a copy for yourself. Having these photos signed and dated by both you and the landlord, is also a great idea. Have a witnesses - who is not a family member and wont be living with you to provide a written statement or sign off and date on your check-in form. Immediately report damages - While living there, always report and keep record of any damage or malfunctions that are not your fault. With your landlord, communication is key. Give proper notice - Your lease should specify what your agreed on lease-end date is, typically 12 months. If you are a on a month to month, most states have a required 30 day notice. Wisconsin gives a 28 day written termination notice, unless your rental agreement states otherwise. Respect your unit - Keep your unit in good condition to protect yourself. If you do damage to your home that is outside typical wear and tear, there may be consequences. But if you treat the property as if it were your own and be careful not to damage it, this can go a long way to protect you. What should you know about cleaning & repairs? Know what your landlord expects - speak with them ahead of time to see what their cleaning expectations are, so that you wont under or over clean. Schedule a walk through with the landlord - to complete a check-out report before your move out day so you can complete any other cleanings they request. If the landlord refuses, complete a detailed check-out report on your own. Do a thorough cleaning - Make the effort to return your rental to the way you found it. Clean ovens, remove nails and screws, and even consider mopping which can give a fresh scent. Repair any damage you have caused - Anything personally damaged by you as a tenant, as well as by pets or guests may be cheaper to repair on your own. How can you use the law to protect yourself? In most states, landlords have a deadline for returning your deposit. Leave a forwarding address to ensure your landlord can track you down in a reasonable amount of time. Landlords typically will need to include an itemized statement as to how the deposit was applied. Again, taking pictures when you move in and move out will go a long way to protect your deposit, since you can prove yourself a lot easier. Below are some of the Wisconsin state facts, (which may differ in your specific city or county) : For more detailed Wisconsin laws visit Tenant Resource Center. 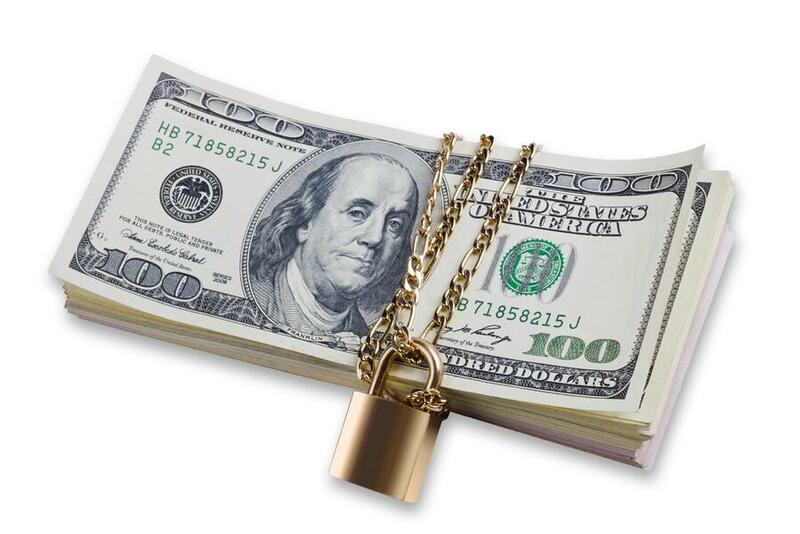 There is no state limit on dollar amount for security deposits, any amount that is put down outside of your first months rent may be considered as the deposit. You have the right to ask for the previous tenant's security deposit deductions when you move in. If a landlord withholds all or part of your security deposit, they must provide a written list explaining why the deductions were made. Landlords must return all or part of your security deposits, or an explanation of why you wont be getting one: within 21 days after you move out or after a new tenant moves in. Either by mail or delivered in person to you (but you must provide a forwarding address). Wisconsin landlords are not allowed to specify all or part of your security deposit as an automatically non-refundable deposit, this means they aren't allowed to pre-designate a portion towards things like carpet cleaning. Unpaid rent or utilities - Including, if you leave before the end of your lease, which may make you liable for the rent for the rest of your lease term, or until the landlord finds a suitable tenant. Damages, waste, or neglect - that are outside normal wear and tear, which may be up to a judge’s final say. Violations to "Nonstandard Rental Provisions" - If used, this agreement would have been part of your original lease and the provisions must have been identified to you at lease signing. Violations to the policies set in this agreement can result in owed money, so make sure you read everything you sign! These laws may change and typically do so at least yearly. Please refer to the Tenant Resource Center for updated information, or to Wisconsin Administrative Code 134 and Wisconsin Statute § 704.28. How to remedy a wrongfully taken security deposit? Negotiate - If you disagree with the landlord’s withholding or if the landlord broke state or local laws in withholding, try to work it out with the landlord. Landlord letter - If negotiating is not working, the next thing to do is write the landlord a letter. This letter should be a line by line explanation of why you disagree. Mention the laws and explain that if the deposit is not returned that you may take legal action against them. Date the letter and keep a copy for yourself, and include a reasonable deadline for them to comply with your request. This letter is important to have if you end up going to court. In Wisconsin, file a complaint with the Department of Consumer Protection. File a dispute in small claims court - The process may vary, however in Wisconsin, you can file for up to double the amount that is wrongly withheld, plus court costs, plus reasonable attorney fees. If you bring the landlord to court, bring as must documentation as possible: pictures and videos, check in and check out sheets, witness statements, etc. Consider bringing anything that you can get your hands on to prove your case and that can help you in court. 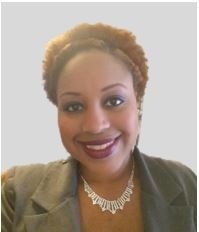 Tanika Allen is the Leasing Agent for Friends of Housing Corporation and has been an asset to the company since 2005. She has an Associate’s degree in business management, has completed several landlord/tenant trainings, and obtains a Real Estate Broker’s license for the state of Wisconsin. Her most enjoyable task and main focus is to help individuals and families lease into nice and affordable single family homes, duplexes, and apartments. Friends of Housing Corporation is a property management company that has been in operation since 1997 and manages over 2100 units in the greater Milwaukee area for market rate families, but mostly elderly and low income families.